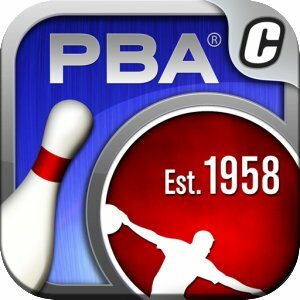 The PBA Bowling Challenge from Concrete Software will test your bowling skills like few games can. You start from the bottom and work your way up until you come face to face with the best bowlers in the US. Whether you want to play a quick game or go through a Career mode, you can do so here. If you like bowling and wanted a mobile version, this one will do just fine. The PBA Bowling Challenge will have you start with a 12 lb. ball in a small alley. Eventually you’ll work your way up until you’re going head to head with the game’s greats, and you’ll come face to face with the best in the Tournament of Champions. The Career mode is for the serious bowler as that’s where you’ll need to work from the ground up. But if you’re just in the mood for a quick game there’s an option here for that too. If you do go for Career mode you’ll be able to unlock more locations as you play and win. It’s a challenge all right as you have to compete against the likes of Walter Ray Williams, Jr., Peter Weber, Tommy Jones and Mike Fagan among others. Over 20 of the top PBA bowlers are included here, and you’ll need to defeat them if you want those regional and national championships. The game is based on real stats such as control, hook and power, and there are several balls available so you need to make the right decision, but there are some special balls here as well if you want extra power.